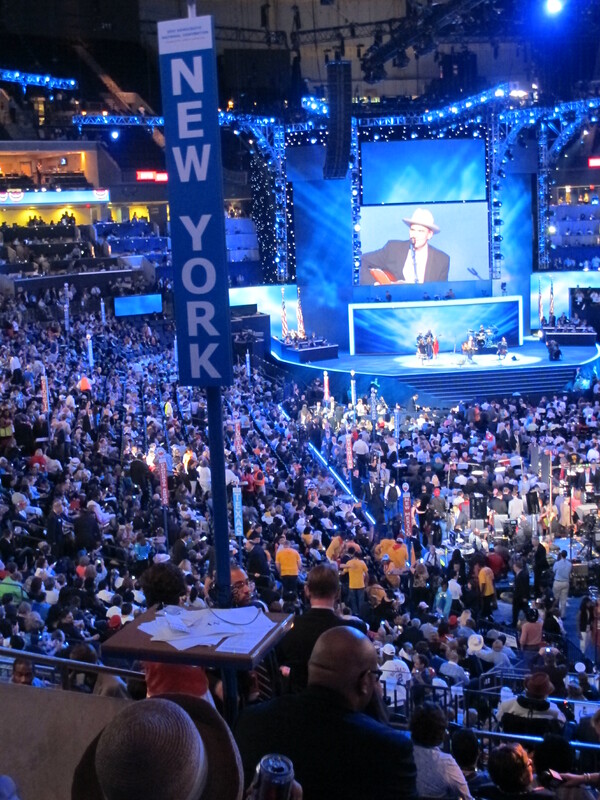 A view from the New York delegation’s seats, where I enjoyed the soothing sounds of James Taylor. Charlotte may have been a circus, a hot stew of politics, punditry and freeze booze, but some productive work did get done. I broke two stories from the Convention for City & State, both about New York political stars looking to expand their national brands. The first was about an afternoon event I attended featuring New York City Council Speaker Christine Quinn, who looks to build a national profile as she runs for Mayor. The second is about Senator Kirsten Gillibrand’s splashy visit to the Iowa delegation, and important constituency to impress, depending on your ambitions. I also made a cameo in Esquire, part of a night that was not nearly as bad as advertised. This entry was posted in Uncategorized and tagged Christine Quinn, City & State, Kirsten Gillibrand. Bookmark the permalink.